CLOSED Nailed Kit March Box Giveaway! Disclaimer: The prize of this giveaway is provided by Nailed Kit. Happy Friday everyone! Remember those super adorable reindeer manicures I did using the holiday themed Nailed Kit? 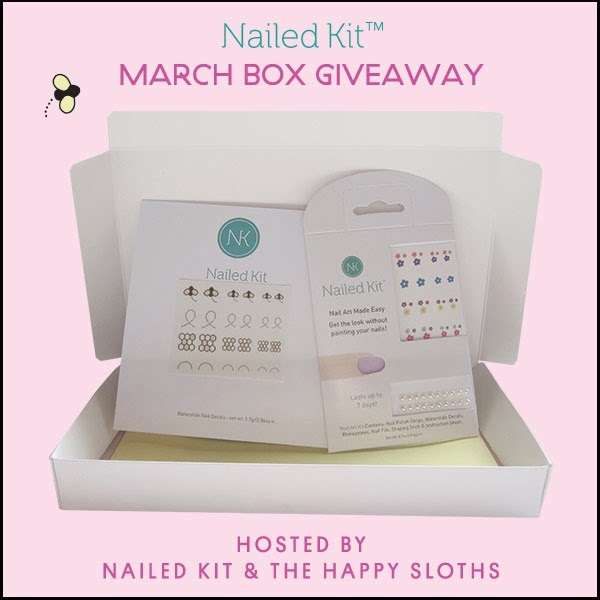 Well now it's your chance to win a spring themed March Box (worth $22.00) from Nailed Kit! The kit will come with everything you will need (nail strips, water decals, and decorative rhinestones) to achieve the perfect manicure for Spring! This giveaway is open internationally, to enter, simply complete the following steps! Good luck!